Trinity University captured the NCAA Division III baseball championship with a 10-7 win over Keystone College on Tuesday night at Fox Cities Stadium. Trinity swept the best 2-of-3 series after posting a 14-6 win in the opener on Tuesday. They finished 44-7 on the season, earning the right to call themselves NCAA D-3 baseball champions. Keystone’s season came to an end at 40-11. Trinity finished 5-0 and never trailed during the tournament. The Tournament was hosted by UW-Oshkosh and Lawrence University. Two games were washed out on day one of the NCAA Division 3 College World Series at Fox Cities Stadium and La Crosse wishes their opening round game would have been lost to Mother Nature as well. Both games on day one featured rain delays. State University of New York – Cortland, won the opener 1-0 over Emory. UW-La Crosse was three outs away from forcing a third and deciding game against top-ranked SUNY-Cortland at the NCAA Division 3 College World Series today. But Cortland had something else in mind. Cortland rallied in the 9th for five runs on four hits and pulled out a 6-2 victory in winning the program’s first national title. They finished 45-4 on the season, winning the title in their 13th attempt. La Crosse was making its first trip to the World Series and finished runner-up. Joe Miller allowed one run and six hits in 5 1/3 innings for the Eagles. Miller also pitched six innings in La Crosse’s 3-2 win over Emory in 12 innings on Saturday. It was a long day for the UW-La Crosse Eagles on Tuesday. La Crosse was able to reach the best-of-three championship round against top-ranked SUNY-Cortland by holding on to beat Trinity University of Texas 10-7 in an elimination game. The game included a 5 hour, 4 minute rain delay. The Eagles would need to pick up and face Cortland in game 1 of the best-of-three championship, but they fell behind by 5 runs early and lost the championship opener 11-3. Game 2 is set for 11 a.m. this morning. La Crosse needs a win to force a third and deciding game later today. It’ll be a tall order for the Eagles, trying to find a way to beat the number-1 team in the nation twice. La Crosse (36-15) is looking for its first National title. Cortland (44-4) is in the same boat. 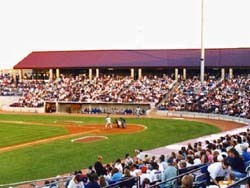 Trinity University (40-13) built an 11-1 lead after 2 1/2 innings and won a third straight elimination game, 16-6 over the Eagles of UW-La Crosse in the NCAA Division III World Series on Monday night at Fox Cities Stadium. 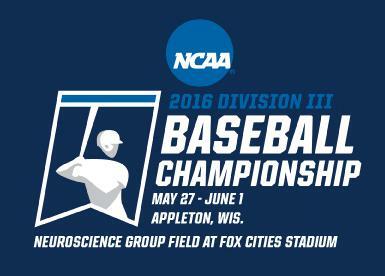 La Crosse (34-15), which used five pitchers in the loss, must turn around and face Trinity at 11am this morning. The loser goes home and the winner moves into the best-of-three championship series against top-ranked SUNY-Cortland (43-4). The Championship series is scheduled to follow the La Crosse-Trinity game, but rain once again, continues to threaten the tournament. The loss is the first for the Eagles in the tournament was their first. 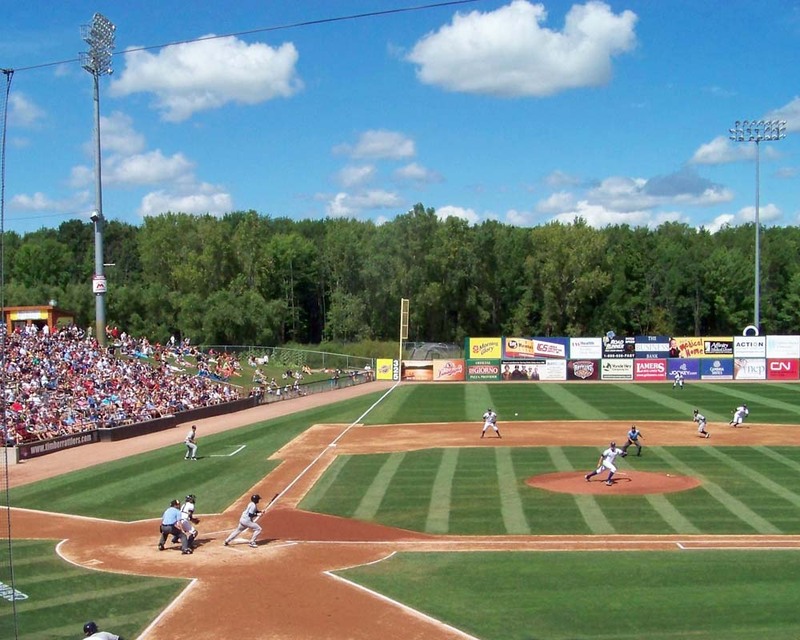 Eight teams will continue their pursuit of a national title starting today at Fox Cities Stadium in Grand Chute. This year’s field includes a WIAC representative making its NCAA Division 3 College World Series debut in the UW-La Crosse Eagles. UW-L (33-13) opens pool play against Salisbury (33-4-1) at 7:45 p.m. Prior to that game, play begins with Frostburg State taking on Ramapo at 10 a.m., then Webster battles Cortland State and Trinity squares off with Emory. 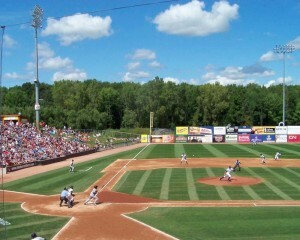 UW-Whitewater will be well rested when facing Emory today for the NCAA Division 3 College World Series Championship. The Warhawks had yesterday off and will be shooting for their second World Series title, having won back in 2005. The Warhawks are 3-0 in the double-elimination tournament and 43-7 on the season. They’ll need to win just once to claim the title. If Whitewater loses the opener, then a second Championship game would be played. Emory comes into the game swinging a hot bat. They combined to score 25 runs on 33 hits in a pair of elimination victories over Southern Maine and St. Thomas on Monday. The Warhawks carry a 10-game win streak into play today. Winning the championship would mean Whitewater would gain its first-ever sweep of the three major sports…football, men’s basketball and baseball, all in the same year.